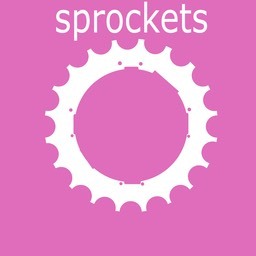 Sprockets is a Go-Ride club focussed on having fun through cycle sport. The sessions are based upon the British Cycling Go Ride syllabus and currently covers both core riding and mountain bike disciplines. More young people cycling more often. All riders improve confidence, competence and performance. 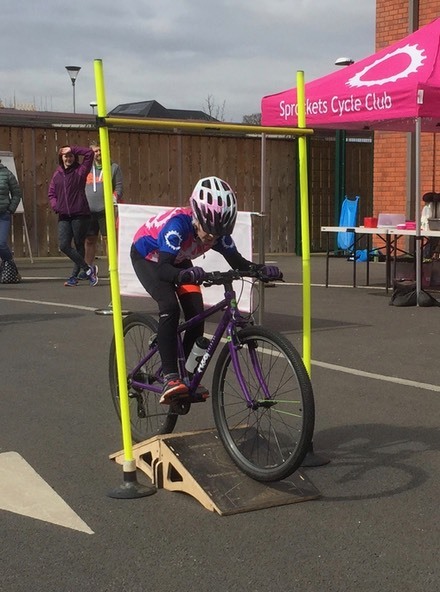 Young riders enjoying cycling and achieving their cycling goals. 10:00 Session Begins with a Helmet and Bike Check then fun activities promoting balance, coordination and technique. Cake Break about half way through session. 10:50 Debrief and look ahead to next session. 12:25 Debrief and look ahead to next session. Graduation from Rogues to Racers is less dependent on age than on strength of riding. Rogues sessions build confidence and technique while Racers sessions tend to be faster cycling with greater levels of competition and emphasis on performance. The Coaches will make a judgement on which group will most benefit an individual rider. * We do take Rascals who are younger than 6 but only on a case by case basis and subject to a Coaches assessment. This is dependent on their ability to ride well enough and to take instruction as part of a group. The club is not set up teach youngsters to ride their bikes although most of the coaches do offer private lessons should you need them. If you are unsure about which group your rider should join, then please contact the club before your first session.